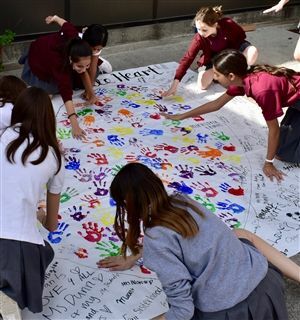 Immaculate Heart commemorated Catholic Schools Week with activities and special events, culminating in the traditional Junior Ring Ceremony. 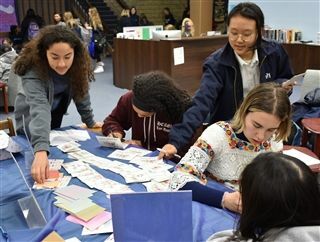 The week’s activities were organized by Immaculate Heart High School’s Associated Student Body officers in conjunction with the Ministry Team members, and they included opportunities for students to show their Immaculate Heart pride, give back to the community, and express their faith. 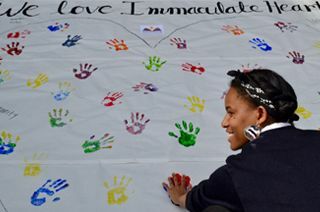 Over the course of the week, students created a poster covered with reasons why they love Immaculate Heart; held a collection for Dolores Mission School’s Adopt-a-Student scholarship program; gathered in the school chapel to recite the rosary; and wrote letters of love and gratitude to their teachers and parents for the gift of their Catholic education. 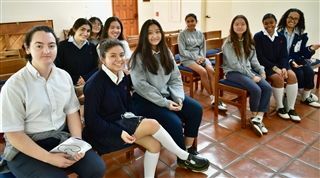 Finally, at the traditional Junior Ring Ceremony, the junior class received their class rings in a beautiful Mass, surrounded by their families, teachers, and senior sisters. 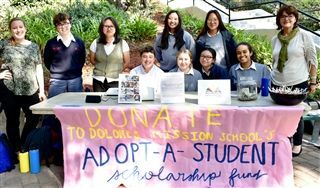 Immaculate Heart is proud to recognize Catholic Schools Week and celebrate our mission as a Catholic school to empower our students to become women of great heart and right conscience.